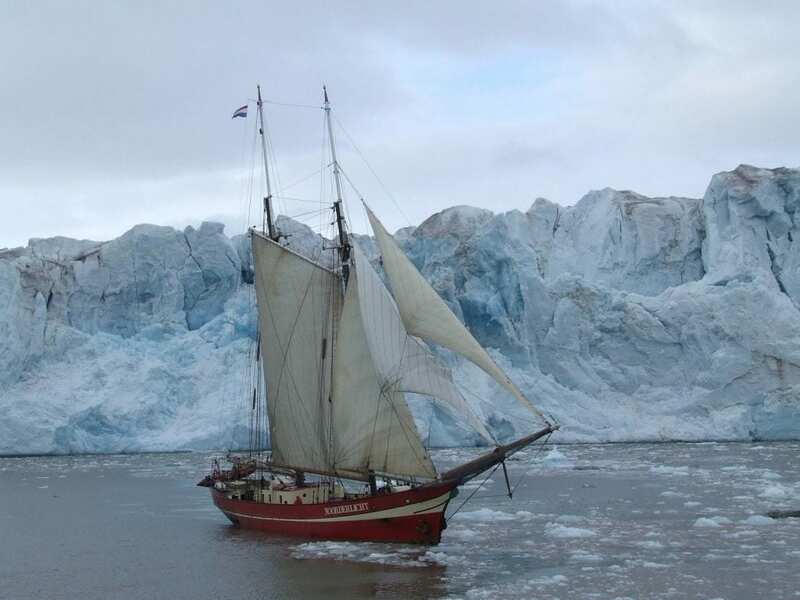 The stunning double-masted gaff-rigged schooner at full sail off the coast of Spitsbergen, Svalbard. 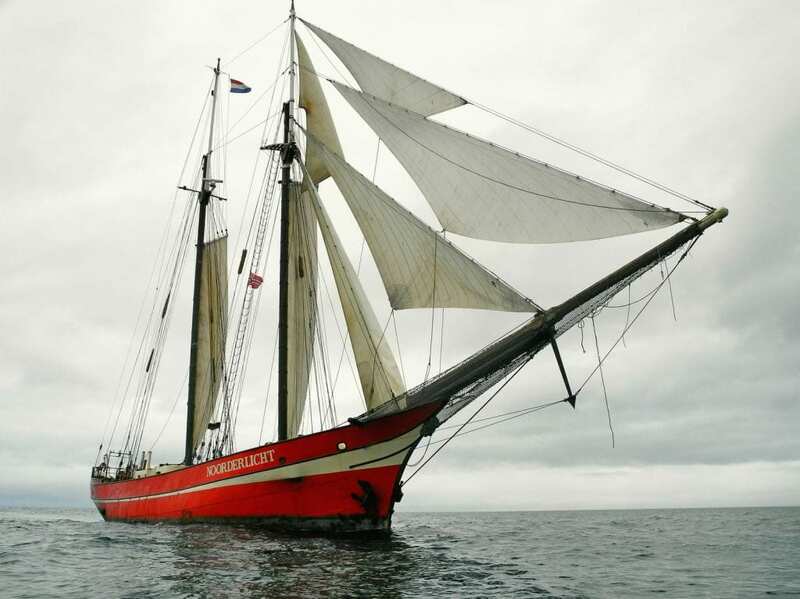 Our ship of choice for this trip is the Noorderlicht, a double masted gaff-rigged schooner that sleeps 25 people including staff comfortably. 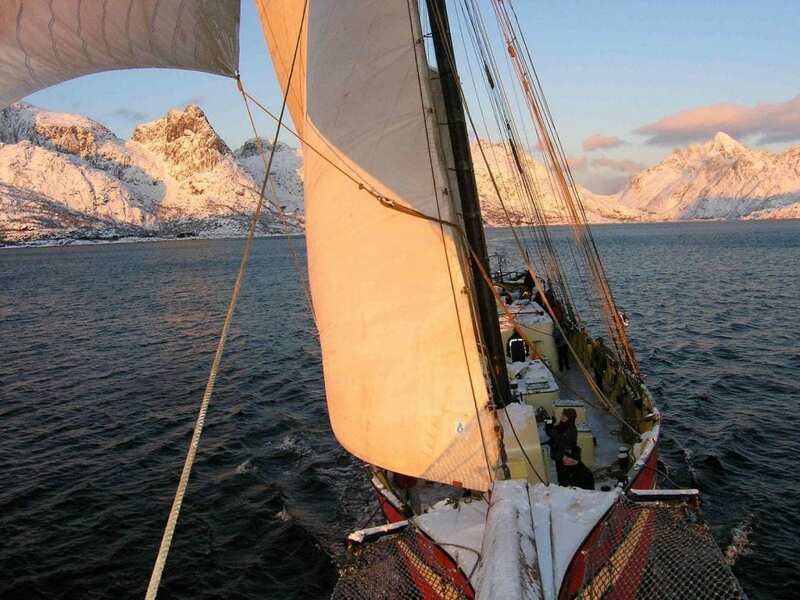 We chose this boat because of its size -- not too big, not too small -- and comfort. 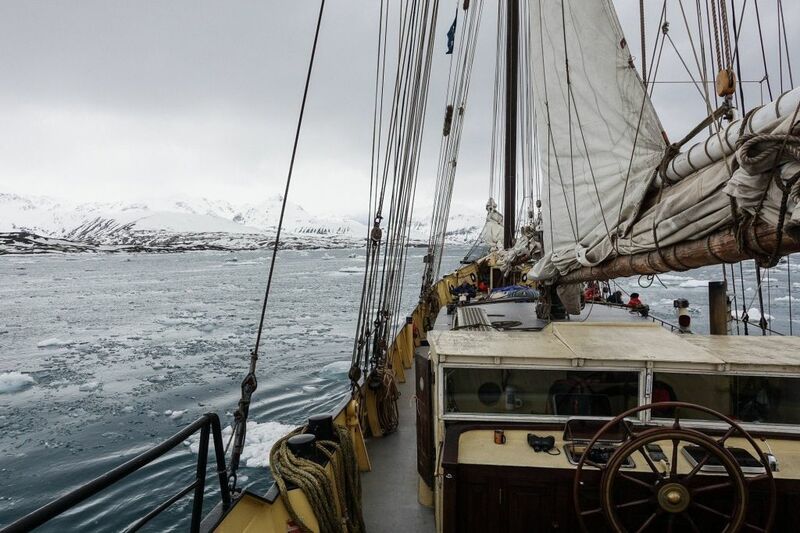 It's also a very classy ship, built in 1910, with beautiful lines.